As the BTO (Build to Order) completion drew nearer after waiting for almost 4 years, suddenly, I got a slight pang of anxiety regarding the interior design. With our tight budget constraints, people around me suggest hiring renovation contractors instead of interior designers but it is easier said than done! Putting my worry aside, I finally be able to sit down and start browsing through some ideas to add to my mood board after months of being busying myself planning for my own wedding and taking a good recent vacation break away to Cairns. So this post, I decided to show one of my favorite mood board which is shades of whites! I just love the bright and airy feel of homes, don't you? 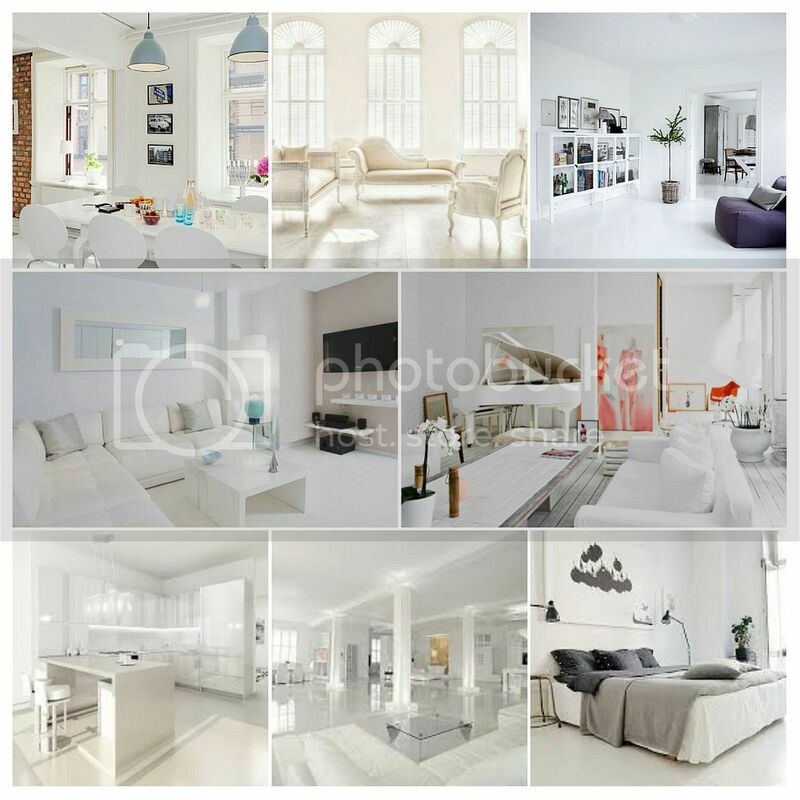 And here's some inspirations that I have handpicked 5 projects from Interior Design Singapore, which implements whites beautifully! Complicated but stunning, that's what i thought when I see this. I love unique features like the texture wall with contrasting black and white colors. Very unique style to go for it! Beside neutral tones, how about adding a hint of metallic colors like metallic pillows to add some personality to it? Love it! If you notice that in my mood board, I like to choose colours on accessories and furnishings and leave the rest of the room in white. Here, the designer adds colors through furinishings and decorative elements which give help to give some life to the white surroundings. With many interesting elements thrown in, it creates such cosy environment without looking very plain and dull. How about a white kitchen with some wood element? I have never like seeing handles poking out of the cabinets so this is one plus point for me as it makes the whole kitchen looks very sophiscated and sleek by implementing the touch and push drawers to the cabinets. This project is one of my favorites that I have bookmarked into my list. Look at the lights! I have a thing for unique lighting fixtures and this attracted me as it added big "attractiveness" factor to the whole living room. A perfect contrast between the wooden elements and the white furnishings, this living room received much love from me! Simple, delicious ideas for summer!